I have now taken 115 samples of black goo and yellow varnish from 17 coffins, mummies, and mummy cases (cartonnage). The ingredients of the black goo are very similar to mummification materials, mainly comprising of plant oil, conifer resin, beeswax, and bitumen, although the exact recipes vary. 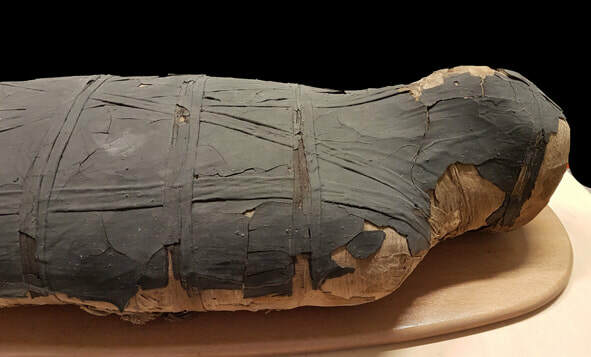 Above is the wrapped mummy of Denytenamun (EA6660), which was covered in thick black goo.